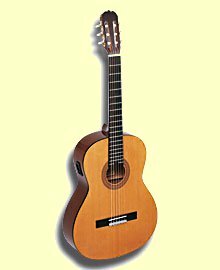 One of my favorite classical guitars, and all-around favorite as well, is a one-of-a-kind instrument that I bought from my friend, the late Lenny Argese; a wonderful guitarist and recording engineer/producer. 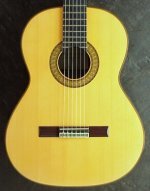 Lenny modified his 1986 Rodriguez (Spanish-made in Madrid) with a Florentine cutaway. 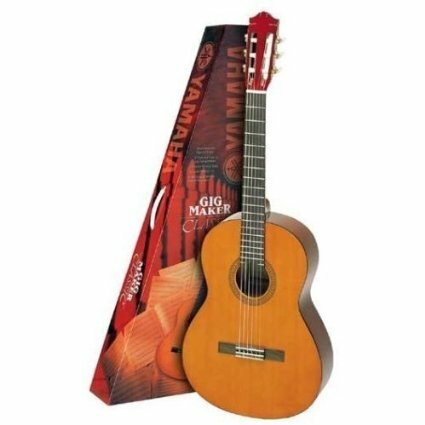 This instrument has a full, yet focused, sound and much greater access to upper frets -- and it looks great as well! Thanks for sharing, Joe. It sounds as if your friend was a true master craftsman. Love the photo too! 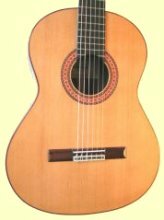 Why not send us in a larger picture of the guitar, so we can get a closer look at the instrument?